Planned and approved interchange will be located at the Watermelon Road Alignment along Hwy85. Watermelon Road will be expanded to 200’ in width and will be considered a regional road in Gila Bend allowing for East access from Hwy 85. 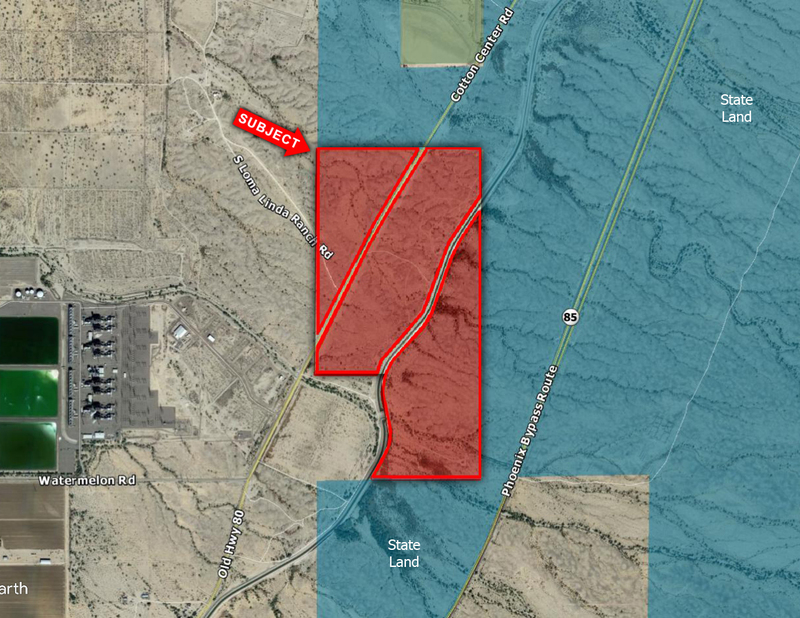 Property has legal access from Hwy 85 to its eastern boundary. This property is prime for distribution or industrial uses. LOCATION: North of Watermelon Road along Highway 80, Gila Bend AZ.